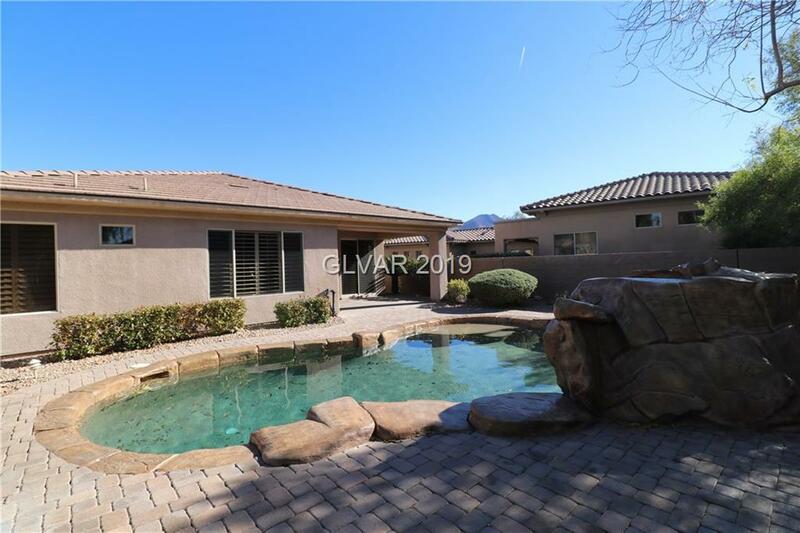 Upgraded 1 Story Arietta Floorplan w/Pool on Cul-De-Sac Lot! Great Room w/Ceiling Fans, Entertainment Center, Tile Flooring, & Surround Sound. Sunny Kitchen w/Upgraded Cabinets, Granite Counters, Breakfast Bar, Nook, & Recessed Lighting. Master Suite w/Door to Rear Patio, CF, & W/I Closet. M Bath w/Garden Tub, Shower, Dual Sinks, & Raised Vanities. Upgraded Flooring, New Carpet, Fresh Two-Tone Paint, Plantation Shutters, Covered Patio, & more! Directions: S On Eastern, Slight L On Anthem Pkwy, L On Anthem Club Dr, Stay R On Anthem Club Dr, R On Colony Lake Ln, R On Emerald Dunes Cir, L On Fallows Fire.